80 years ago today a beautiful lady was born into this world, and blessed this world is to have her! This lady is my dear nana Gloria! 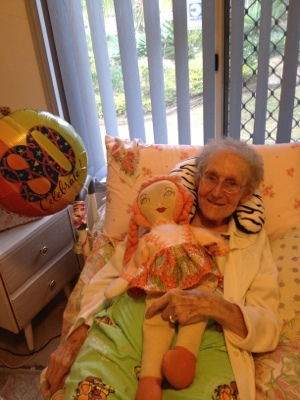 In her 80 years of life so far, she has experienced many great loves which have formed her family, but has also faced tragedies with the loss of a child, grandchild and parent. She has always been a devoted wife, mother and grandmother who would give you the jumper off her back or her last dollar if she had too! 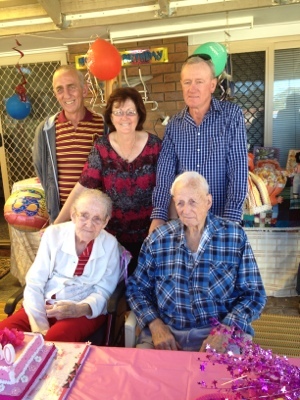 Yesterday we celebrated nana’s 80th birthday just how she likes…being surrounded by family! 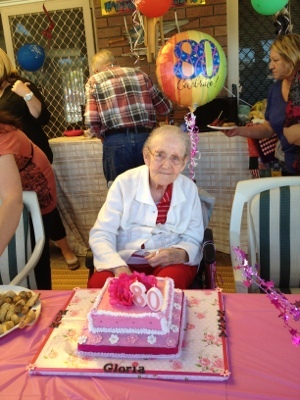 My wonderful mother did a fabulous job organising such a fantastic day for everyone to enjoy! 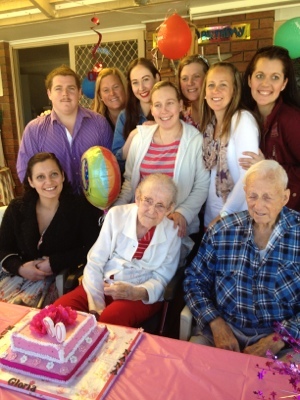 It was so lovely having most of nana’s grandchildren and great grandchildren present for such a huge milestone. 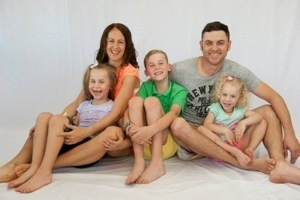 And of course in true style we were able to capture many cherished moments…..
Nana and grandad with their children! 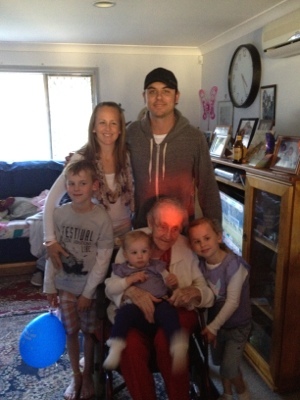 Nana and grandad with their grandchildren! 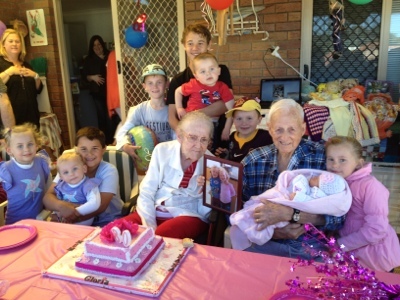 Nana and grandad with their great grandchildren! My party of 5 with our dear Nana! Aerial shot of the cake! 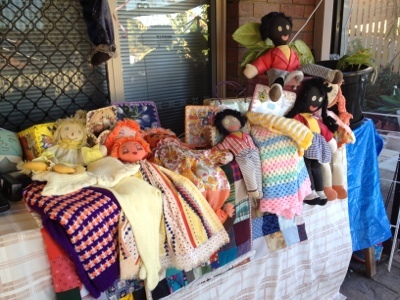 Mum put together a collection of things that my very talented nana made over the years…some of it is almost 40 years old!!!! 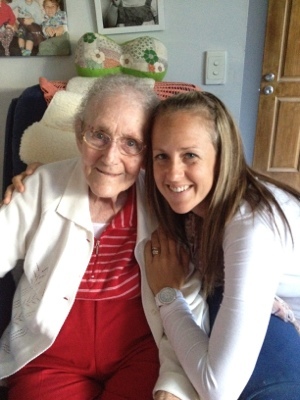 Nana and I….my fondest childhood memories included nana a lot! As I was having a lovely chit chat with nan this arvo, it reminded me of all the wonderful girly chit chats we’ve had over the years! It makes me so upset at the thought of how Parkinson’s Disease has taken over my precious nana’s body and once where she was an active vibrant women who was very intelligent, now struggles with the day to day normal living of life. 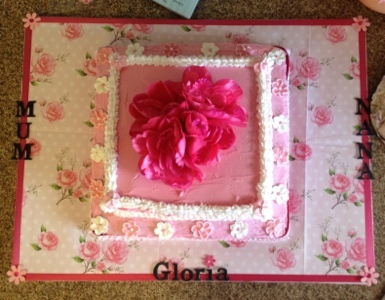 But in true Gloria form she never complains and always has time to give you a smile. As I kissed her soft forehead this arvo, I told her that she was the best and that she wasn’t going anywhere that we couldn’t survive without her….she replied with a beautiful smile and said “someone would replace me”, I replied with “never!” Because Gloria Holpen, the lady known to many of us as Nana Holpen, is simply irreplaceable!!!! 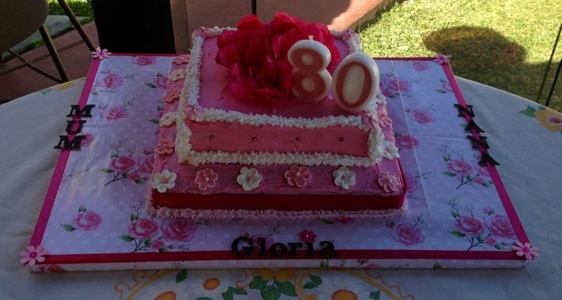 Happy 80th birthday Nana….I’m so glad you’ve had a wonderful weekend of celebrations!!!! !